Bright topaz color. Aromas of honey drizzled apricots, butter cookies, ripe watermelon, and cantaloupe with a round, vibrant, moderately sweet medium body and an interesting, medium-length tart peach tea finish with well-integrated, fruit tannins. A beautifully balanced dessert wine with grippy texture and explosive fruit flavor. Bottom Line: A beautifully balanced dessert wine with grippy texture and explosive fruit flavor. Ice Wine is a dessert wine that is made from frozen grapes that are harvested very late, anywhere from December to early March. At peak, these frozen grapes have at harvest, a water content in which 80% remains as frozen crystals. Fermentation takes months to complete. Ice wine is made from white and red grapes, primarily Riesling as well as Vidal, while Cabernet Franc is the leading red variety. Most examples of ice wine are still, but there are also sparkling versions produced. Canada is a major producer of Ice Wine, most notably in the Niagara Peninsula in Ontario and the Okanagan Valley in British Columbia. 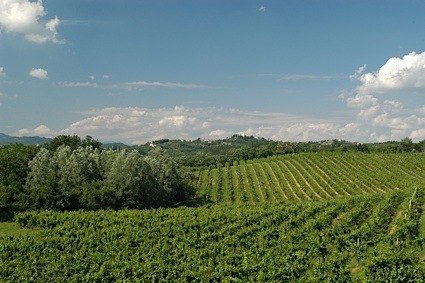 Residual sugar is quite high (about 150 grams per liter, similar to Sauternes from France), but since the acidity is usually high, ice wines do not taste overly sweet. Ideal consumption time is from eight to ten years; these are best enjoyed on their own or with blue cheeses. 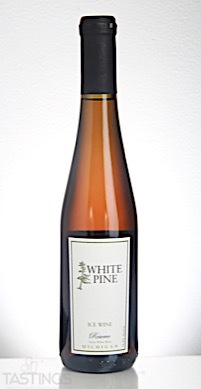 White Pine NV Ice Wine Reserve, Lake Michigan Shore rating was calculated by tastings.com to be 89 points out of 100 on 11/14/2017. Please note that MSRP may have changed since the date of our review.